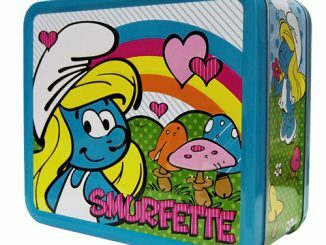 We’ve featured many geeky lunch boxes here at Geek Alerts and you can proudly carry your lunch in any of them, but we thought we would gather some of the best and the geekiest for your enjoyment. 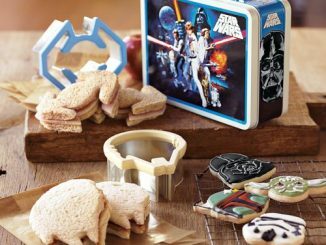 Lunch doesn’t have to be boring with so many cool options. 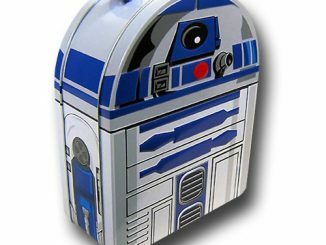 This R2-D2 lunch box is exactly the droid you are looking for to tote around those sandwiches and keep the rebel alliance well fed. 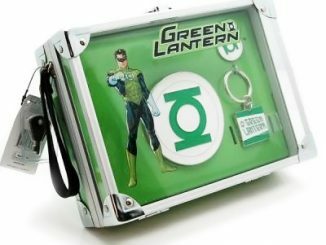 Just $10.99 from Superherostuff. Sometimes you can feel like the Walking Dead when you’ve been working hard all morning and you need some lunch. 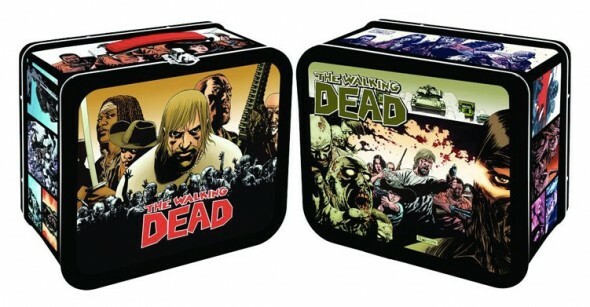 That makes this Walking Dead Lunchbox very appropriate. And Zombies are always cool anyway. Find it at TFAW for $11.99. 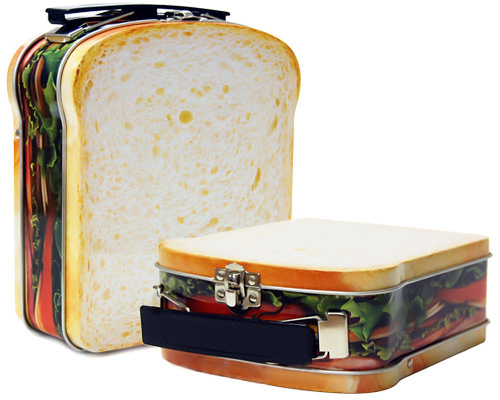 The Sandwich Lunch Box is pretty self explanatory. 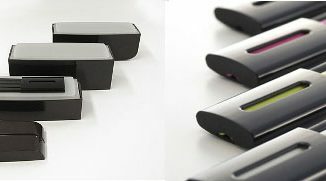 What’s pictured on the outside can be found inside. 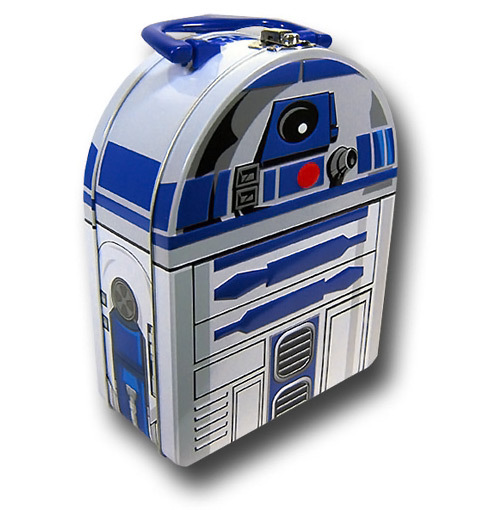 This old school lunch box has class. It’s just $7.99 from Perpetual Kid. 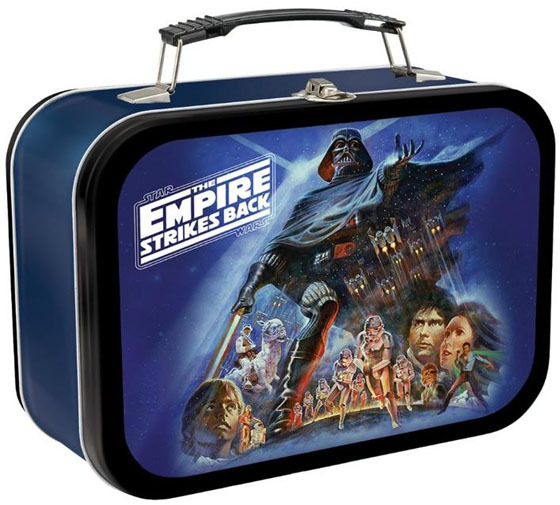 The best Star Wars movie of them all has to be one of the most awesomely geeky lunch boxes as well. 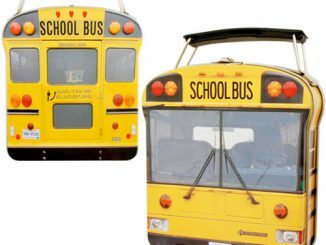 I know I had the original back when I was a kid and I used it so much that it was all dinged and dented, but I still loved it. 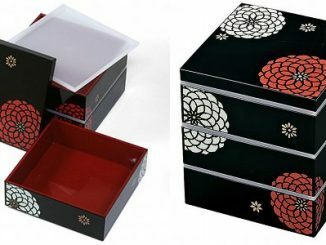 You can find it at Thinkgeek for just $14.99. 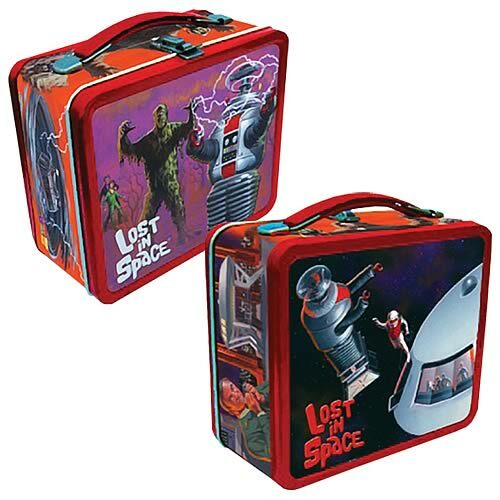 Another more classically geeky lunch box is this Lost in Space version. The graphics feature the B-9 robot, a monster from the series and a great retro space scene. This one is one of our favorites. You can find it at Entertainment Earth for $16.99. Nightmare Before Christmas fans will love this piece of awesomely retro food luggage. 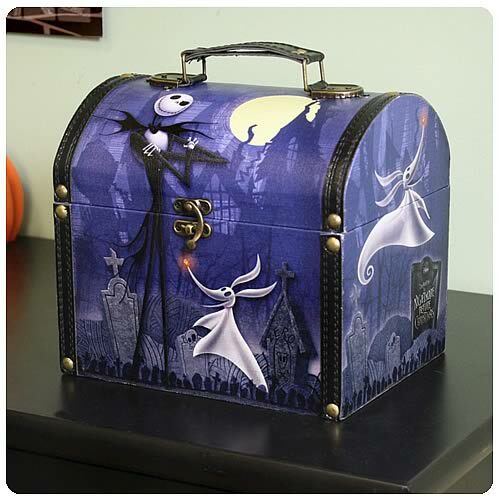 This Nightmare Before Christmas Proud Jack and Zero Vintage Lunch Box is super stylish and the graphics are spook-tacular. 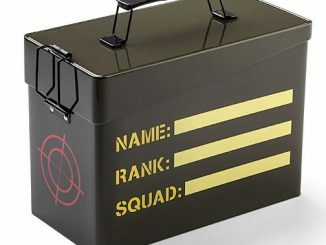 It can be yours for $24.99 from Entertainment Earth. 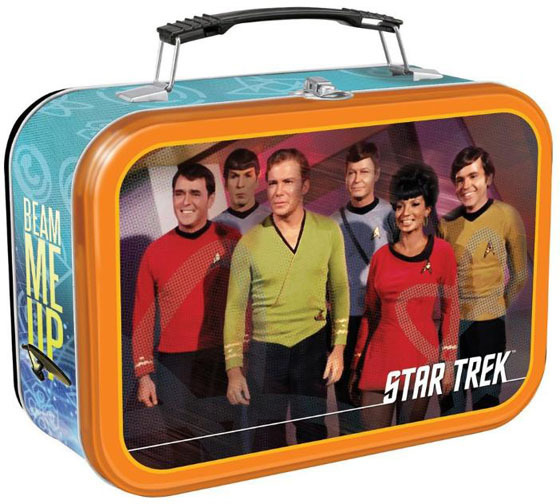 Since we can’t exactly beam our lunch from home to where we are, a Star Trek Lunch box is the next best thing. Having this one is like having Kirk and the rest of the original crew join you for their lunch break everyday. It’s a bargain at $12.43 from Amazon. 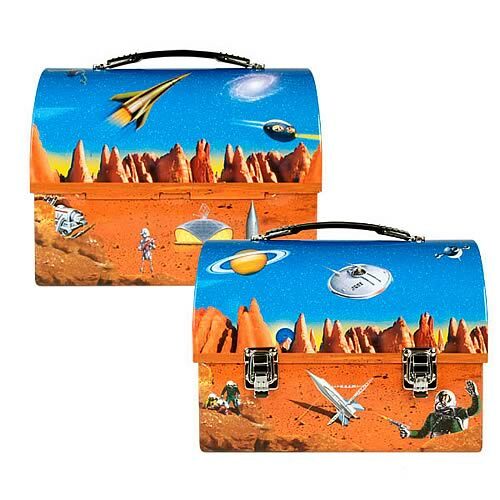 Retro Space scenes on a lunch box? Count me in. And unlike a vintage Astronaut, I won’t be packing powdered and freeze dried food. Each side features a classic alien landscape. It’s like beaming your food to another planet. You can find it at Entertainment Earth for $19.99. 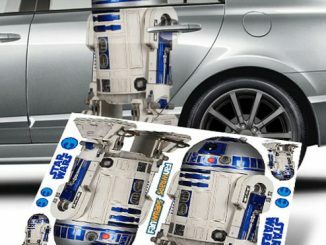 It’s not all about Sci-Fi. We geeks like a lot of different things. Like Tenacious D. Long live the D! 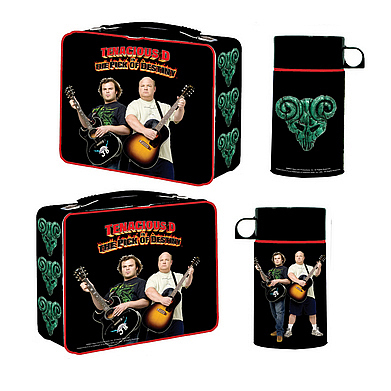 And long live this lunch box, based on the Tenacious D movie “The Pick Of Destiny”. Rock it for $17.99 from Entertainment Earth. 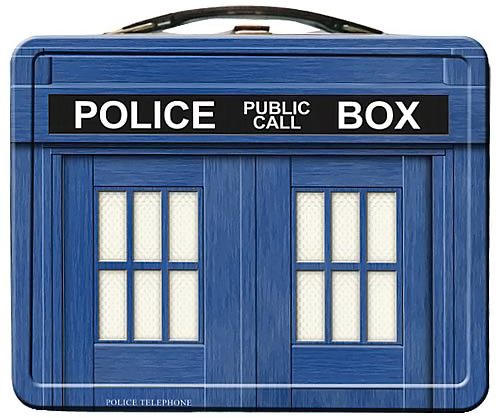 I’m not going to say that the Doctor Who TARDIS Lunchbox is bigger on the inside than the outside. I’ll just say that I once saw a tiny doctor emerge from one. He showed me some psychic paper that said “lunch box inspector” and made me forget. 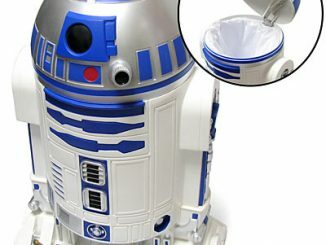 Then my lunch box made the TARDIS sound and disappeared. I only just remembered now. $12.99 from Entertainment Earth. 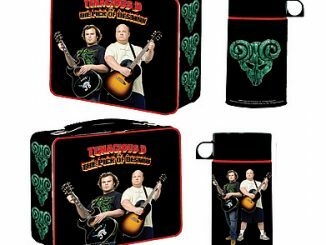 Fans of Tenacious D will love this Tenacious D Lunch Box. Jack Black brings the thunder and Kyle Gass brings the lightning. After a hard day of rocking and searching for the pick of destiny, it’s time for lunch.